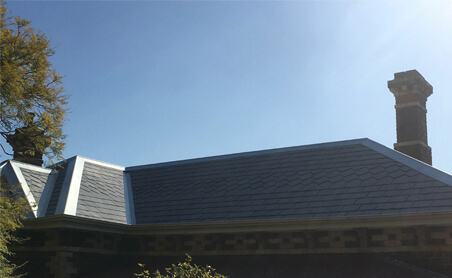 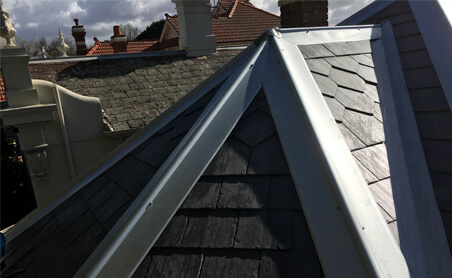 This project was a full roof restoration using high-quality Spanish slate. 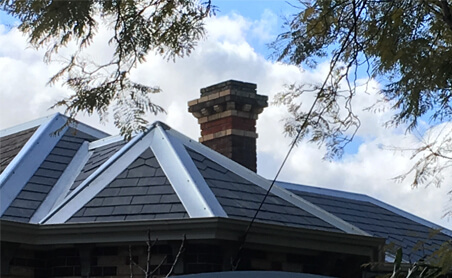 The original roof was beyond repair. 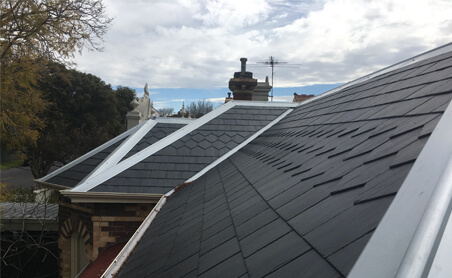 So in sections, all the old slates, timber battens, valleys and ridge capping were removed. 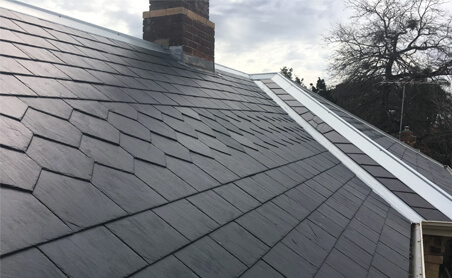 A heavy duty breathable felt membrane and 45x35mm timber battens were used on this project with stainless steel nails used to secure the slate. 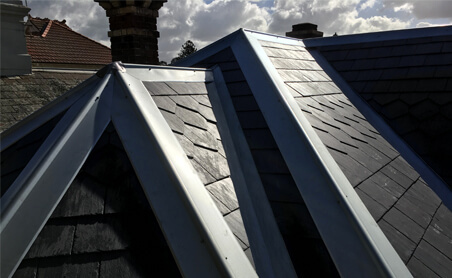 The original roof had a pattern running through it, so by individually cutting each slate, the pattern was reinstated to mirror the old design. 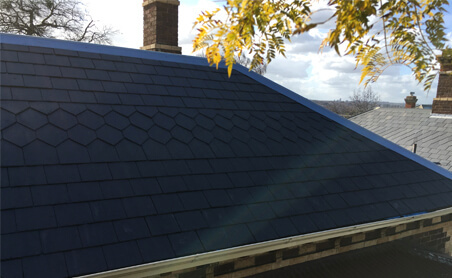 New galvanized valleys were also installed along with new galvanized ridge capping to give it the great look it has.